I bid a fond “farewell” to a wise pastor, skilled preacher, excellent instructor, and good friend. Rev. Dr. Leo C. Wagner died yesterday morning. Here was a man who could have remained in Chicago, perhaps finding a congregation that would have paid him handsomely. But, the Lord led him to the small town of West Point, VA to pastor Mt. Nebo Baptist Church. Rather than seek to make his own ministry shine individually, Dr. Wagner engaged himself to work with and lead the Pamunkey Baptist Association as Moderator for a term. He knew how to joke with people and to give Godly advice at the right moment. His compassion was felt by public school students in town as well as seminarians at Virginia Union University. 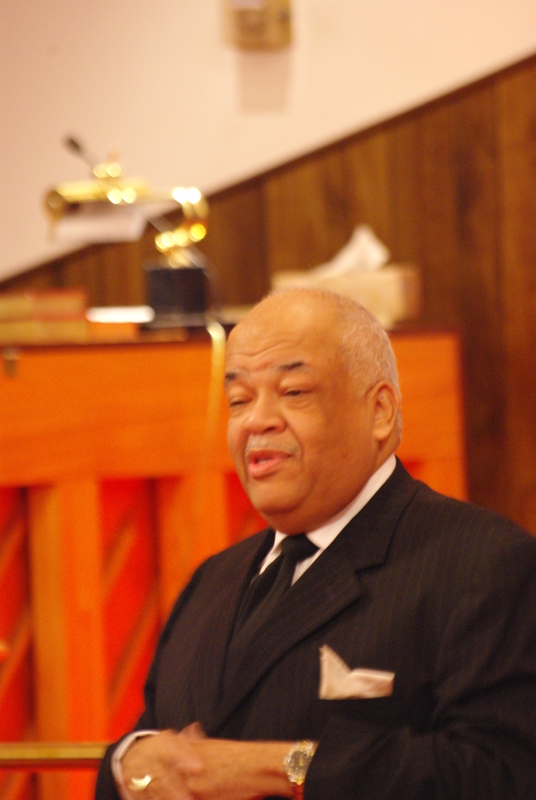 We lost a giant in the Baptist church and a friend to all who knew him. Lord have mercy and bless his widow. Today is Monday. Gosh, how we bemoan the beginning of the work and school week. As if we are facing some sort of torture. I confess that I sometimes look at my bills and how they crush my meager paychecks and wish I had the salary I was once earning. I look at my wife’s illnesses and wish I could enjoy the times when she was mentally and physically healthy. Yeah, I write stuff that is very spiritual. But, I am a man with the same wishes and desires as anyone else. I struggle with the same temptations and anguish over my failures and sins. But, each morning, I consider the saint that is commemorated for the day. Today, the martyrs Sophia and her daughters, Faith, Hope, and Love are remembered for their faithfulness to death. A mother was forced to watch her teen and pre-teen girls be subject to extremely cruel tortures and beheadings and then bury them. Then she died at their grave 3 days later of a broken heart as she didn’t leave their side. With the loss of Dr. Wagner, I am even more mindful that others have struggled and run the race of life before me and endured far greater hardship. Who am I to whine about my difficulties? What right do I have to hold on to bad habits? No, this great cloud of witnesses surround me as an example to keep fighting, running and struggling. And above all, there is Christ. He went from a heavenly home to a womb and manger. His own people rejected him. Crowds misunderstood him and wanted only magic tricks and miracles. Where there were once cries of honor, he heard shouts for his crucifixion. There is no crown without a crucifixion nor sainthood without struggle.